Our vendors offer a terrific selection of locally grown, raised, or produced goods. Shop close to home and support our local vendors. 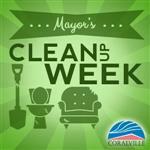 Visit the Farmers' Market webpage at www.coralville.org/farmersmarket and like us on Facebook for news and updates. No Farmers' Market on May 28, July 2 & September 3. Vendor punch cards or season passes are available.